We’ve all suffered the frustration of visiting a web site that normally works great, only to find it is slow or completely stalled. Perhaps you are trying to finish a project at 5 PM on a Friday and your cloud service has slowed to a crawl. Maybe the video you are watching just buffers over and over, raising your blood pressure to an unacceptable level. Why doesn’t this stuff just work? Anytime systems that normally run without hesitation get bogged down, it’s caused by some type of failure or being starved for resources. On rare instances there is a hardware failure. More likely the failure is the software gone wandering down some unpredictable path or stuck in a loop. Even more likely you are experiencing resource starvation. You are starved of resources when you need more of something than is available at the moment. This can be compute cycles, RAM memory, disk space or bandwidth. If the problem is caused by a sudden demand for more service than usual, you might be starved for all of these. How can this happen? Imagine a e-commerce web site that is sized to handle the usual number of shoppers, plus some margin for peak shopping times. A major TV network presents a story on a product that has become popular on social networks. All of a sudden, it seems like everybody on Earth is searching for this item and many are finding your site. Traffic? Through the roof! Sales? Not so many more. You’ve been skunked by resource starvation. But My Services Are Scalable! Sure they are. All you have to do is hope someone has detected the surge in activity. They notify someone else in charge, who analyzes the situation and takes action to provision more resources. In most operations this is done by changing settings on a control panel or making a phone call to the service provider. After some minutes or hours, the traffic congestion has been relieved and everybody who still wants to place an order can easily do so. But… how many buyers have given up or found another seller? The other weakness of scalability is that you may wind up paying a premium for unneeded capacity after the surge in traffic has passed. It takes a keen eye to match resources with need to minimize the cost of your computing and network services. Think of elasticity as the automation of scalability. Elastic resources are those that automatically adjust for need without human intervention. Yes, the robots have come for our jobs and, in this case, they are welcome to this maddening task. Elastic cloud computing allows the cloud to assign you virtual servers and storage as needed. You really couldn’t do this back in the day when your own servers had to be ordered, shipped, installed in racks and connected to the rest of the infrastructure. Oh, that’s still the way it is done. It’s just invisible to you. Now the cloud company takes care of installing dozens or hundreds of physical servers at a time. The hypervisor software slices and dices them into virtual machines that can be assigned to any user at any time, faster than you can ask for them. Another beauty of elastic computing is that resources can be deleted as fast as they are added. With the system automatically monitoring the traffic demand, this means you only have what you need at any point in time. It also means that you only pay for what you are using as you use it. A good cloud service will appear to be an infinite well of resources that you can check out and turn back as required. It doesn’t do any good to have a supercomputer in the back room if all you’ve got is a T1 line at 1.5 Mbps to access it. What you really need to complement your elastic computing is elastic bandwidth as well. Software control and billing is making this a realistic prospect. You cloud provider may have many Tbps or Pbps of fiber bandwidth connected directly to the core of the Internet. You don’t have to pay for all of it. 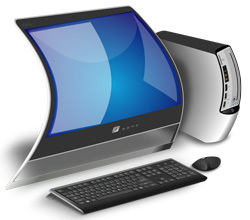 You can be billed by the average bandwidth that your computing resources need per hour. Software Defined Networks now make it possible to virtualize bandwidth the way clouds virtualized servers. 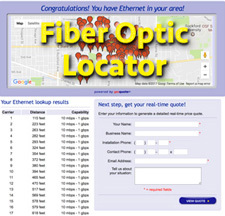 This capability will optimize the use of of bandwidth in the connections to your company locations. With elasticity, your lines won’t get congested nor cost your a fortune for idle capacity. MPLS Networks with bursting capability have offered a form of this elasticity for years. You pay for a certain throughput, but are allowed to automatically increase your traffic for short periods of time. Rapid scalability is now typical of fiber optic Internet and point to point bandwidth service. Soon, elasticity will become the norm and we’ll forget the days when you were never quite sure if you ordered enough bandwidth or way too much.